New designs and enviable specifications are one thing, but with a range of capable competitors arriving into the UK market, is it worth spending big on an S10? Samsung and Apple are now well known for premium phones that scratch the £1,000 mark. 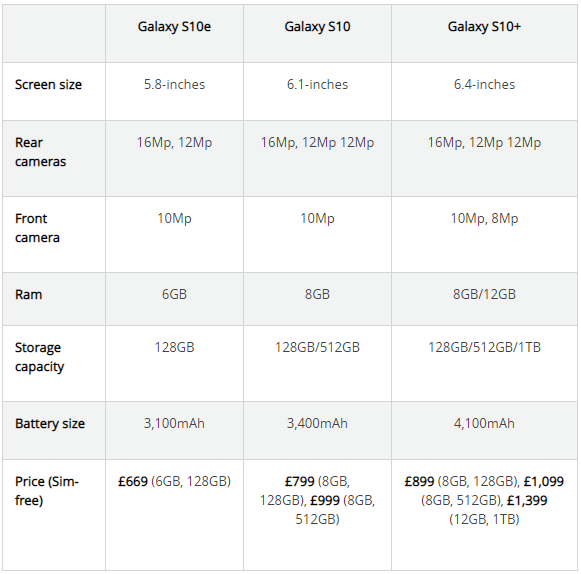 But in an era where flagship Chinese smartphones are flooding the UK market at far lower prices, can the new Samsung S10 series justify its high prices? 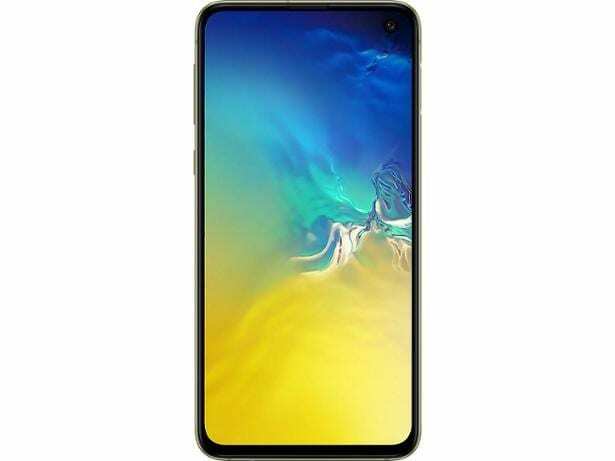 Models such as the new Oppo RX17 Pro (£549), Honor View 20 (£500), Xiaomi Mi 8 (£400) and OnePlus 6T (£499) are top-end phones from their respective manufacturers. They all boast enviable specifications, and they’re all far cheaper. So Samsung has a job on its hands to convince people that it’s worth paying more. 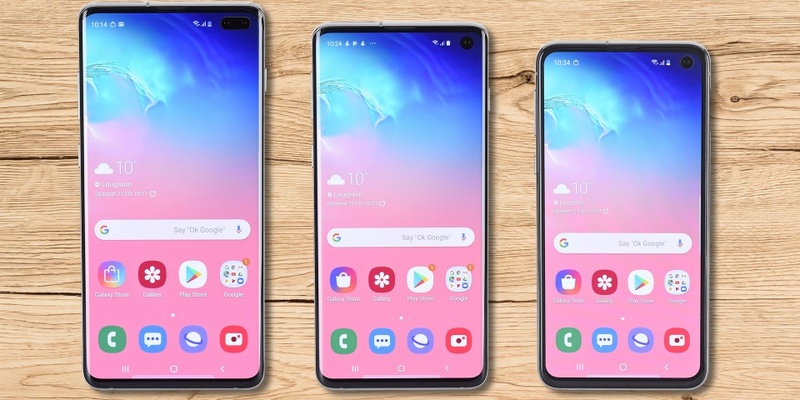 Each of the new phones: the S10, S10e and S10+, has been through our tough test lab to find out whether Samsung still holds the trump cards in this price-competitive market. See if all of Samsung’s S10 series make our list of the best mobile phones, or go straight to our review of the Galaxy S10, S10+ or S10e. Missed the unveiling? Find out more about the new models in our video below. 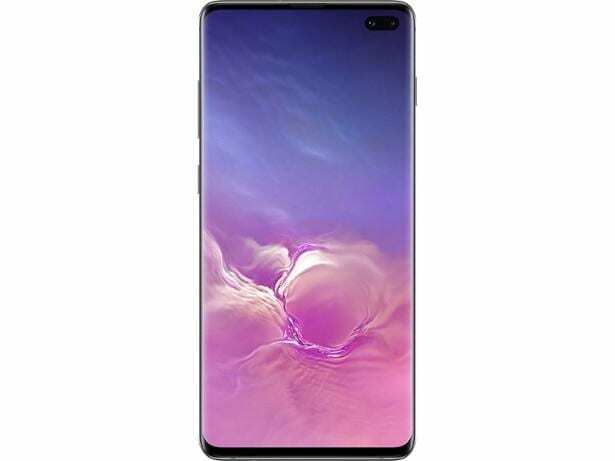 The pressure was on for the Samsung Galaxy S10 as the staple model in the range, and spec-wise, it certainly stepped up to the plate, offering clear upgrades to the previous generation Galaxy S9. The S10 sports a 6.1-inch Full HD+ screen, with the World’s first Dynamic AMOLED display. In real terms, Samsung claims that this new display will produce pretty much perfect colour reproduction, ideal for looking at pictures or watching videos. On the standard, cheapest S10, you’ll have 128GB of storage and 8GB of Ram to power the phone. Premium competitors such as the OnePlus 6T and Huawei Mate 20 Pro typically start with 6GB of Ram for their cheapest model, so Samsung could be setting a new standard on this front. A big talking point with this phone’s storage capacity, is that for £999 you can get a model with 512GB of internal storage. Coupled with its maximum external storage capacity, which is also 512GB on all the S10s, you’d have an unbelievable 1TB of storage. Not bad. Samsung has made a point of advancing the photography capability on this phone, compared with the S9. To trump the S9+’s single rear camera, the S10 has three (16Mp ultra wide-angle lens, 12Mp dual-pixel wide-angle lens and 12Mp telephoto lens). There’s also a single 10Mp front camera. What most people want to know about this phone is whether what’s under the hood will actually be better than the S9. Is it worth setting your sights on the S10 for your next upgrade? Read our review of the Samsung Galaxy S10 to find out. In an unexpected move, Samsung returned to a 3 model S-series line-up by introducing the S10e into its new range. Samsung hasn’t released 3 phones in its flagship series since the Galaxy S6 in 2015, which featured the S6, S6 Edge and S6 Edge+. 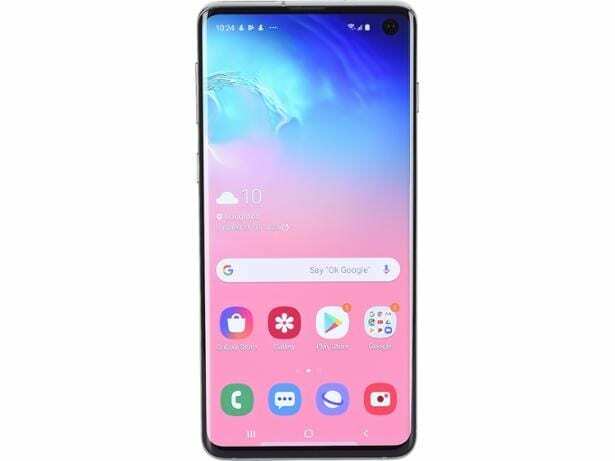 The S10e is positioned as the ‘budget’ phone of the three S10s, starting at a retail price of £669. It rings familiar to Apple’s cheaper iPhone from 2018, the iPhone XR, except it’s cheaper. The S10e takes on some of specs we saw on the S9; a 5.8-inch display Dynamic AMOLED display, with a resolution that’s lower than the S10 and S10+ at 1,080 x 2,280 pixels to their 1,440 x 3,040 pixels, which isn’t surprising since the S10e is designed to be the most compact of the three. You’ll get a 3,000mAh battery with this phone and two rear cameras; one 12Mp dual-pixel wide-angle lens and a 16Mp ultra wide-angle lens. There’s little to compare this phone with, as it doesn’t have a predecessor, so is it just a cheap add-on or can it keep up with the S10 and S10+? Compact or not, we’ve put this phone through the same rigorous testing as its siblings to bring you a full review of the Galaxy S10e. The first thing you’ll notice about this phone: it’s huge. Phones are getting bigger and Samsung didn’t want to miss out on adding some extra inches to its priciest phone in the range. If you opt for the S10+, you’ll get a 6.4-inch display that’s two inches larger than the S9+. This phone also benefits from an incredible screen-to-body ratio increase of 10%, so while Samsung has managed to decrease the size of the phone it has increased the size of the display. Part of the fanfare with the S10s is that Samsung has followed suit with the likes of OnePlus and Huawei to bring in-screen fingerprint scanners to its headlining smartphone range. While the S10e has a capacitive fingerprint scanner, taking 2D pictures of your fingerprint, the S10 and S10+ have an ultrasonic fingerprint scanner. Behind the hype, this means that it will take 3D images of your fingerprint, with the intention of providing increased security and reducing the risk of your fingerprint being cloned or replicated. Onto the cameras, the S10+ spares no expenses with its photography. It has no less than three rear cameras; a 12Mp telephoto lens, 12Mp wide-angle lens and a 16Mp ultra wide-angle lens. You’ll also have an impressive two cameras on the front of the phone (10Mp and 8Mp). Bigger seems to be better with the S10+ but how good can a phone with this many features actually perform? If you want to find out whether the S10+ is the star of the show in S10 line-up, read our full review of the S10+. Are you better off buying a discounted Galaxy S9 or S8? As is typical when a new phone is released, prices of Samsung’s previous models fell on arrival of the S10. This means you could save a packet if you’re not too bothered about the latest cutting edge features. 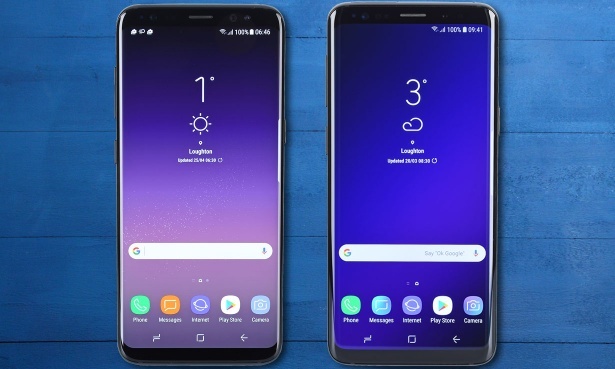 The two most recent releases in the S series, the S9 and S8, may be a year or two old, but you could make some serious savings if value for money is king. Shop around for the Samsung Galaxy S9 and you can pick it up for as little as £550. You’ll miss out on in-screen fingerprint scanning and the new style display, but if bagging a bargain is a priority, the £250 saving compared to the S10 may be worth it. Similarly, if you’re after a bigger display, the Galaxy S9+ can be found for £650. Move back a generation and you’ll find the Samsung Galaxy S8 and the larger Galaxy S8+ for under £400 – £300 less than its original price. The S8 will give you only one rear camera and a cap of 256GB expandable storage if you need to boost the 64GB internal capacity. But for more than half of the price of the S10, it might be hard to resist the temptation. Love a bargain? Read our guide to the best deals on mobile phones.